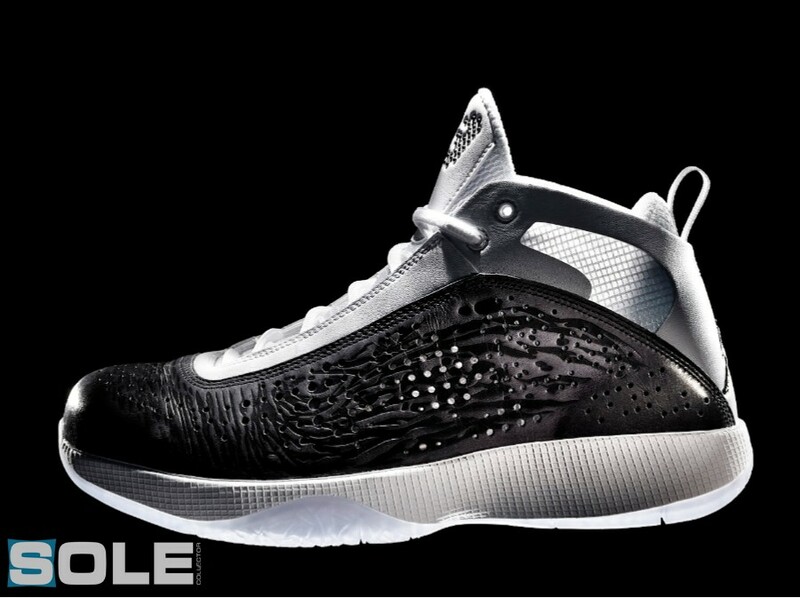 Released a little over a month ago, the Air Jordan 2011 has been accepted with open arms by many. Featuring interchangable insoles, the Air Jordan 2011 has caused quite the talk. With many more colorways set to release, the Official Air Jordan 2011 thread is one to keep an eye on. About the same time last year, Nike SB fans were eagerly anticipating the release of the "Skunk" SB Dunk High by Todd Bratrud. 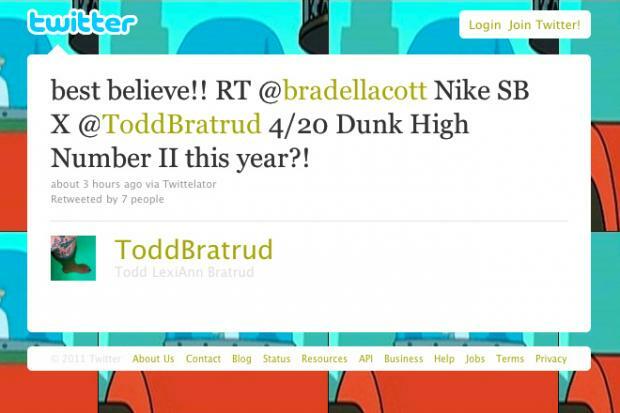 Fast forward to this year, and Todd is at it again with yet another 4/20 SB Dunk set to release. With only teaser images out there, it's only a matter of time before we get a full preview of this much anticipated release. 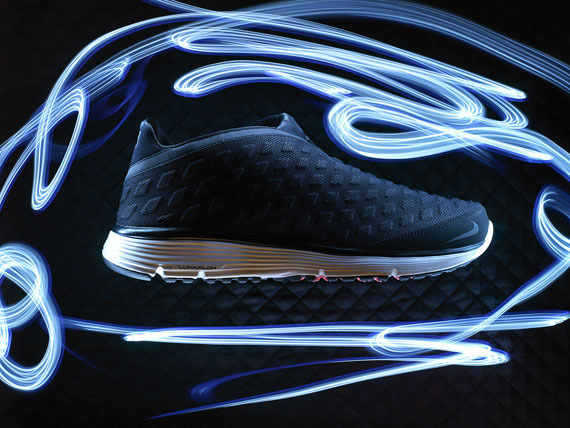 For the last couple of years, anything Nike Lunar has been an incredibly huge hit. And by the looks of it, that won't be changing anytime soon. With recent releases like the LunarEclipse+ and LunarOrbit+, the Nike Lunar line has already birthed a few instant classics. 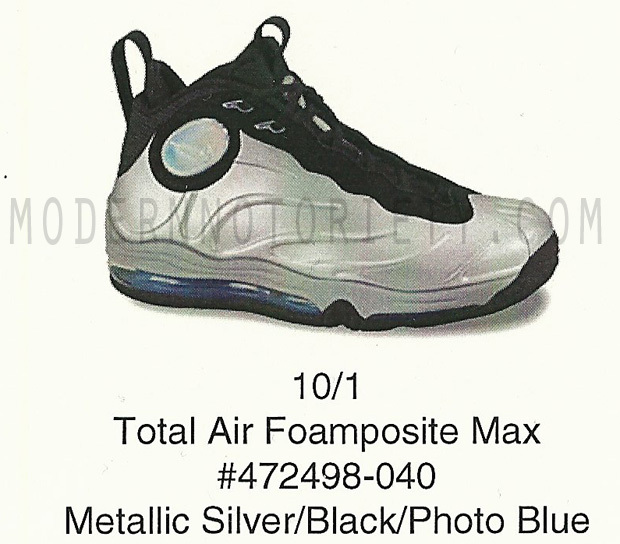 Originally made popular by Tim Duncan back in 1998, the Nike Total Air Foamposite Max is making a return in it's original form yet again. Not set to release until October, the anticipation is already growing at a fast pace. Set to release in several colorways this Fall, this is one thread you won't want to forget. 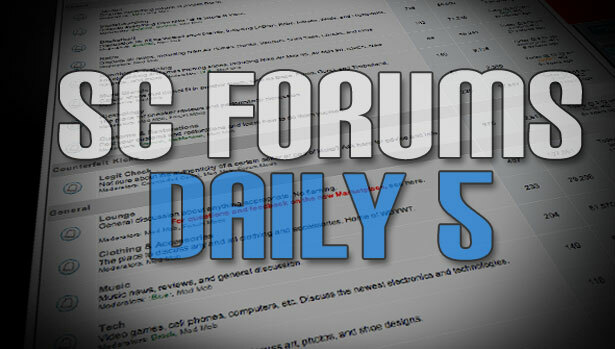 Rounding out today's Sole Collector Forums Daily 5 is the Official WDYWT? Air Jordan Edition thread. 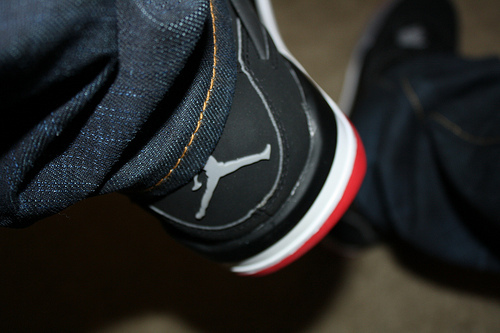 Constantly providing us with some great photos for our Sole Collector WDYWT? Spotlight, the Official WDYWT? Air Jordan thread is always a great one to check out.